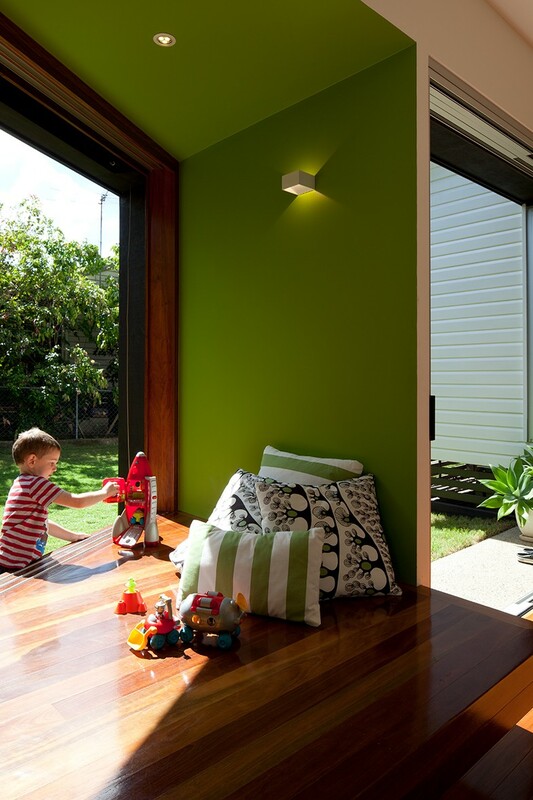 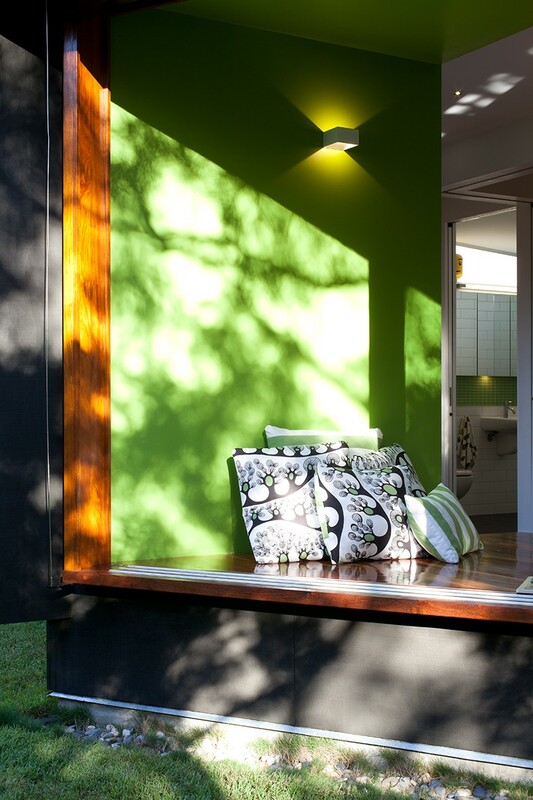 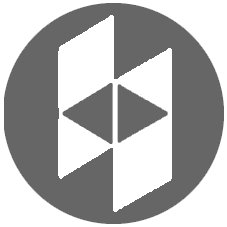 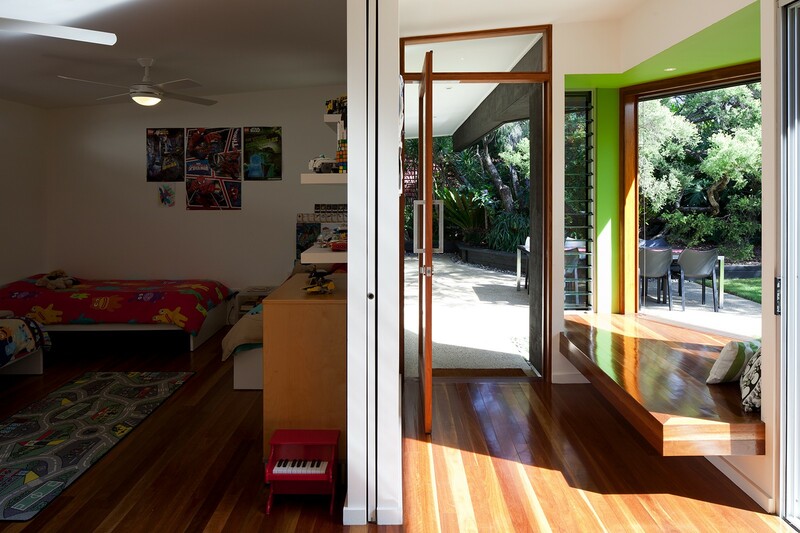 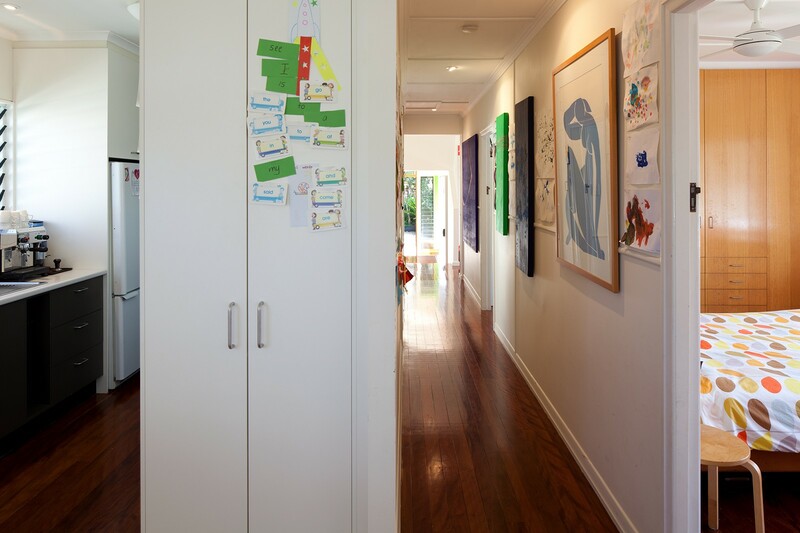 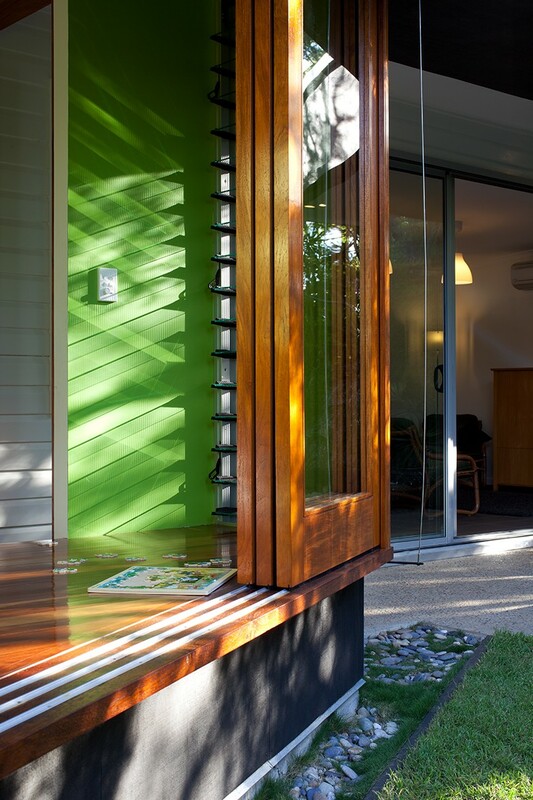 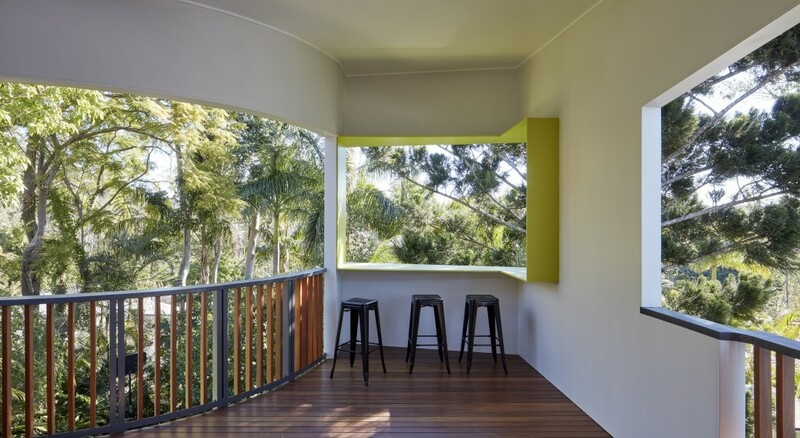 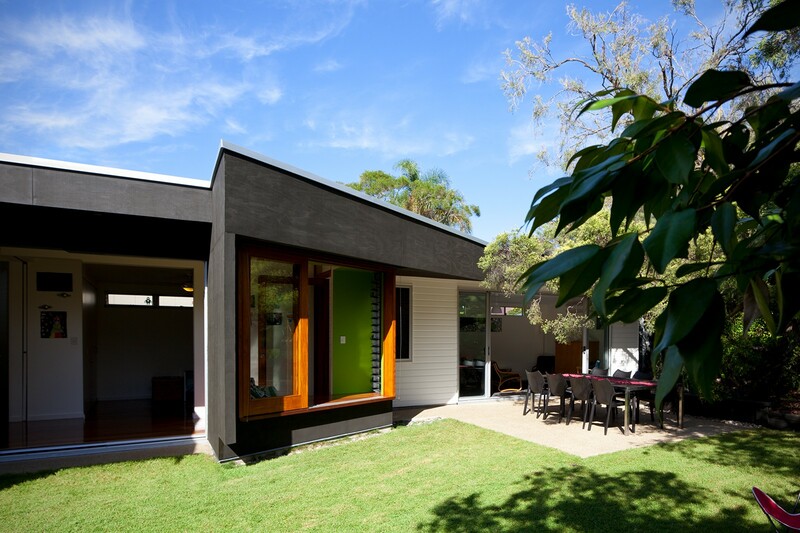 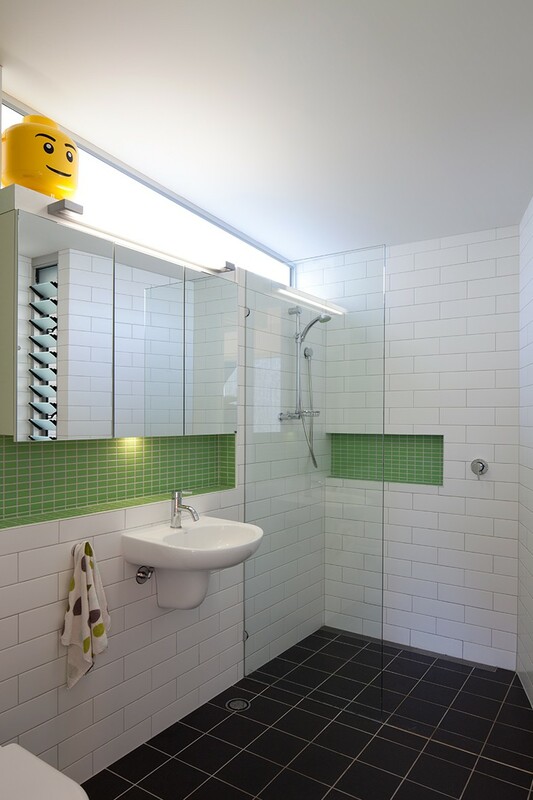 The Jenkins House located at Wavell Heights had already cleverly refurbished the interiors of the existing 1950’s bungalow and were seeking to provide more informal living space for their children. 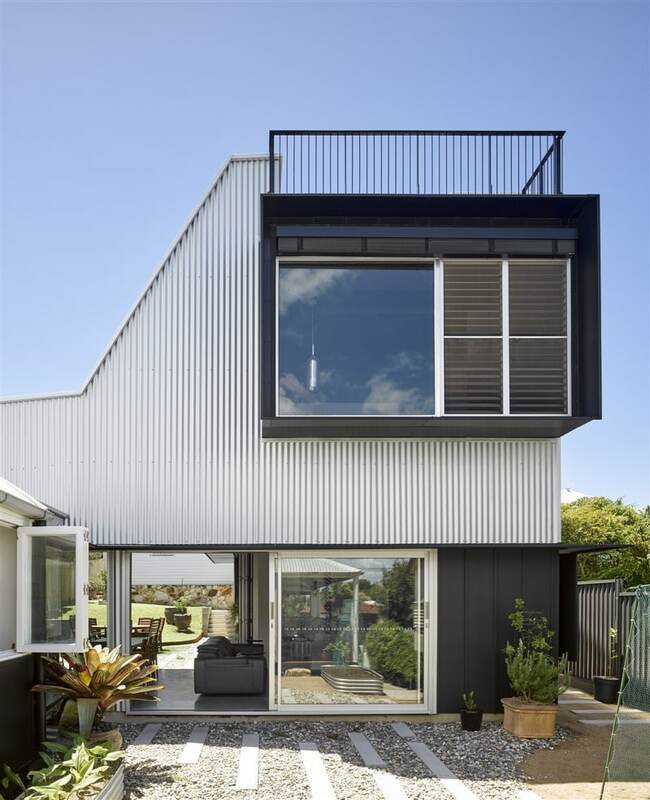 The architectural design explores ways of taking advantage of the inherent strength of the central circulation spine of the existing house. 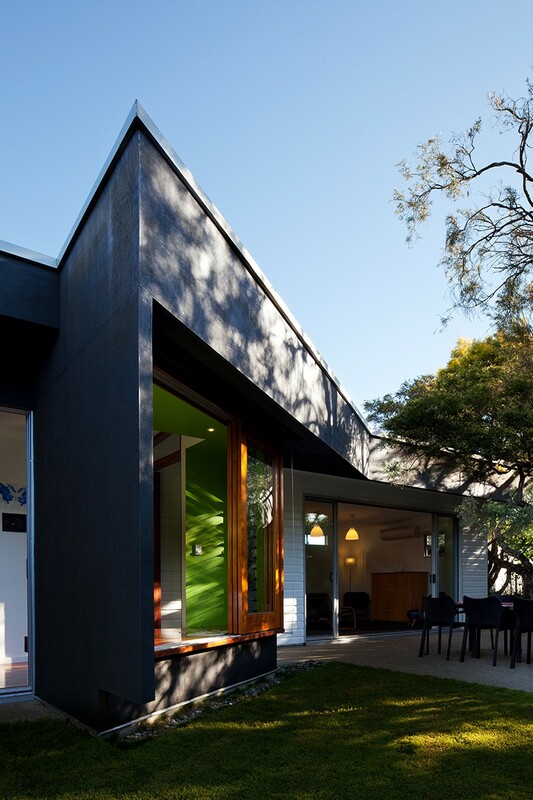 By expanding and contracting the width of the extension the design is layered with a variety of functions. 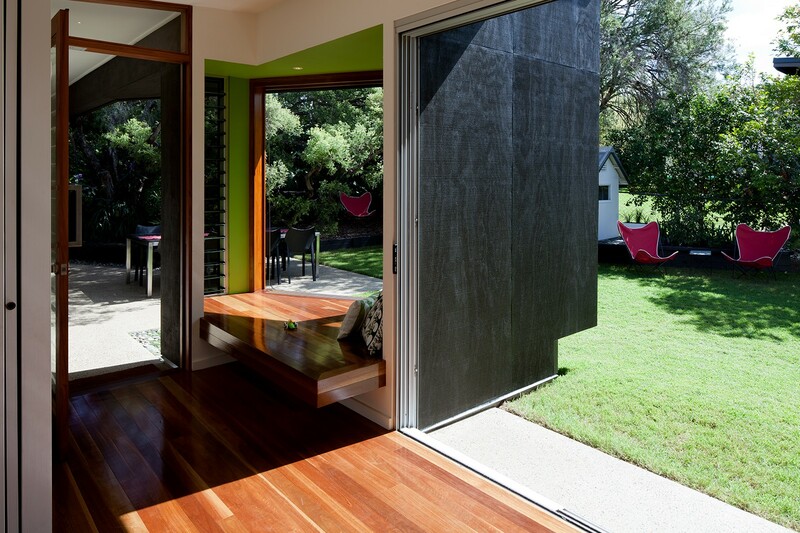 Events are inserted along the passage, which include different windows and openings, changes in level, windows seats and differing adjacent landscapes transitioning from inside to outside. 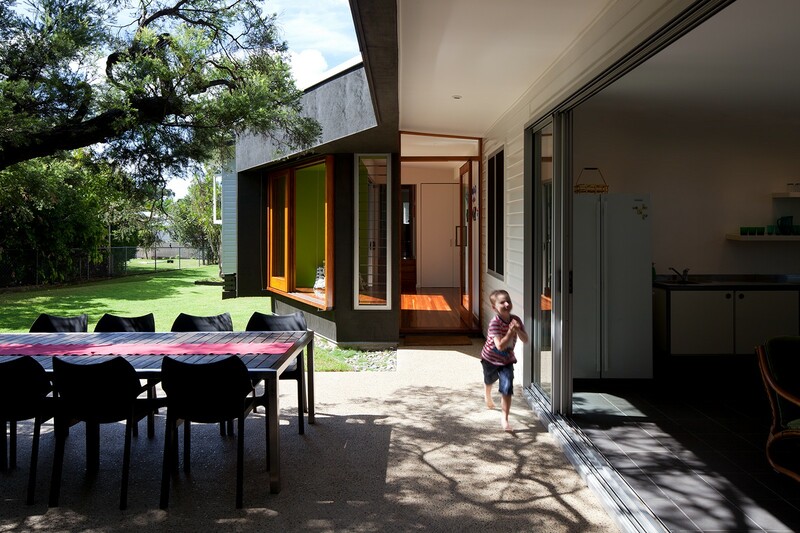 The passage is seen as a family gallery and deliberate lighting techniques, varying ceiling heights and informal seating options inform the use or character of the space. 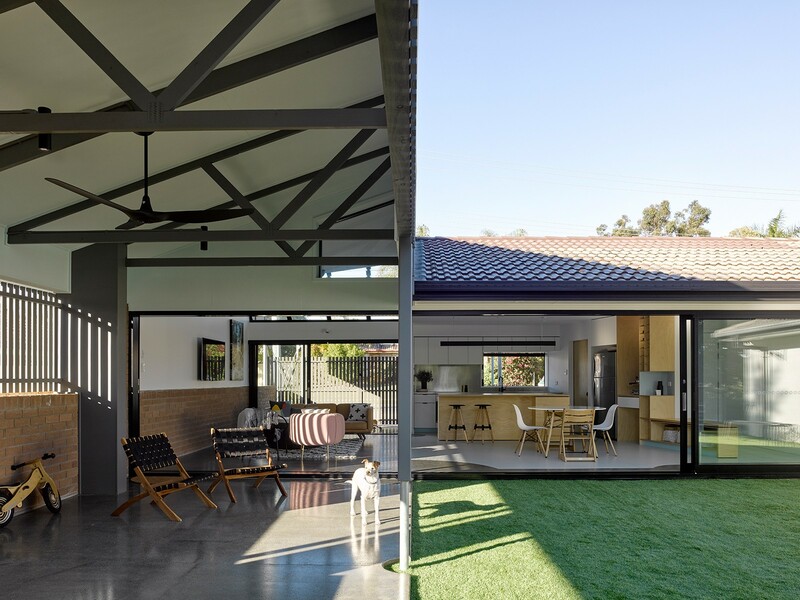 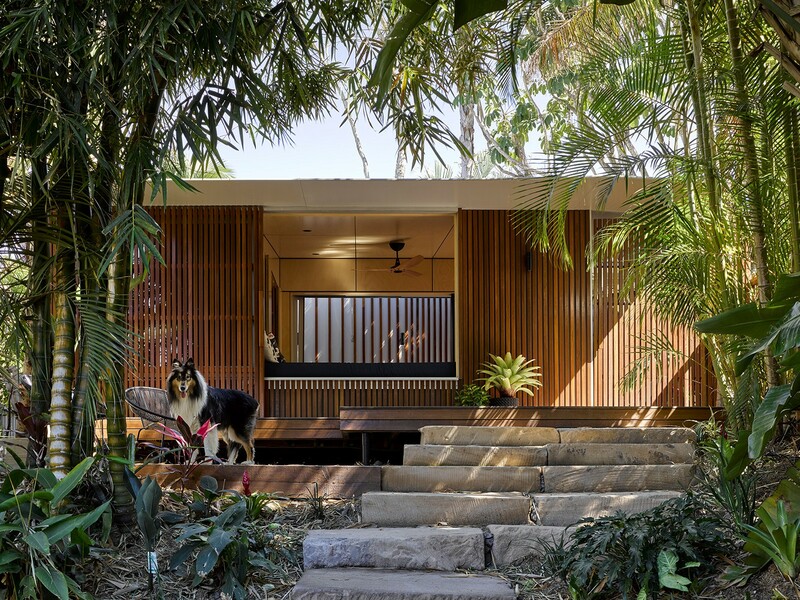 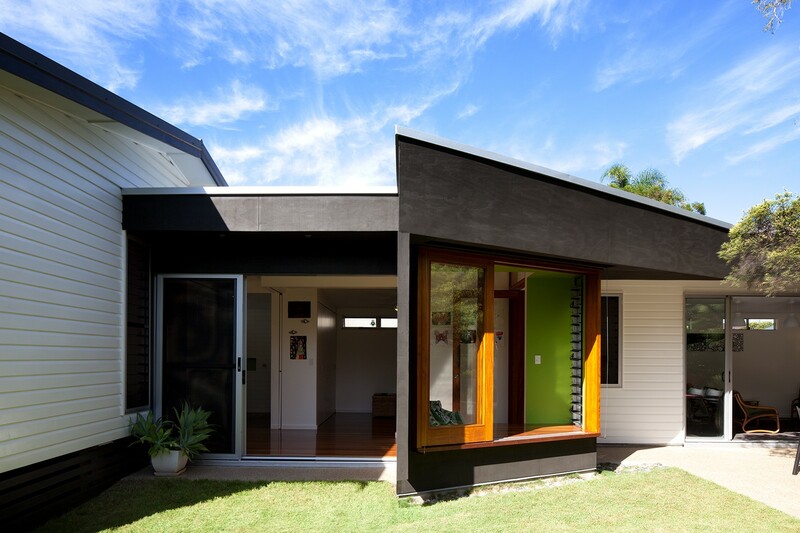 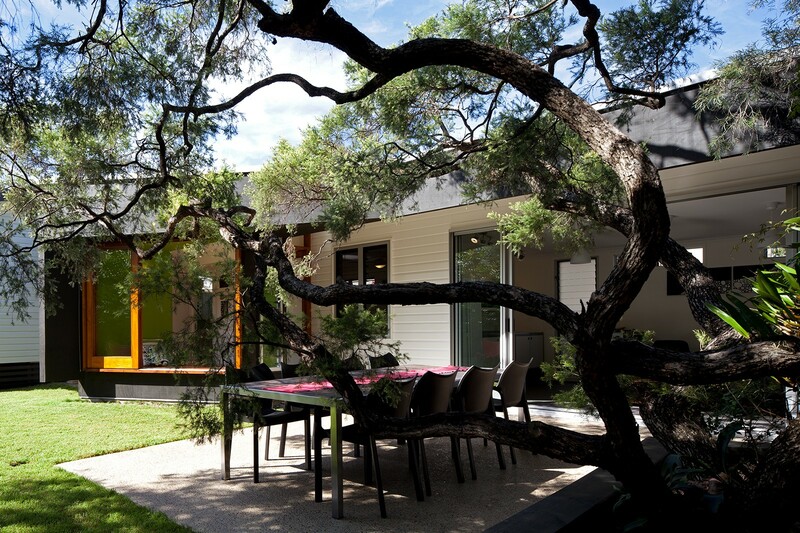 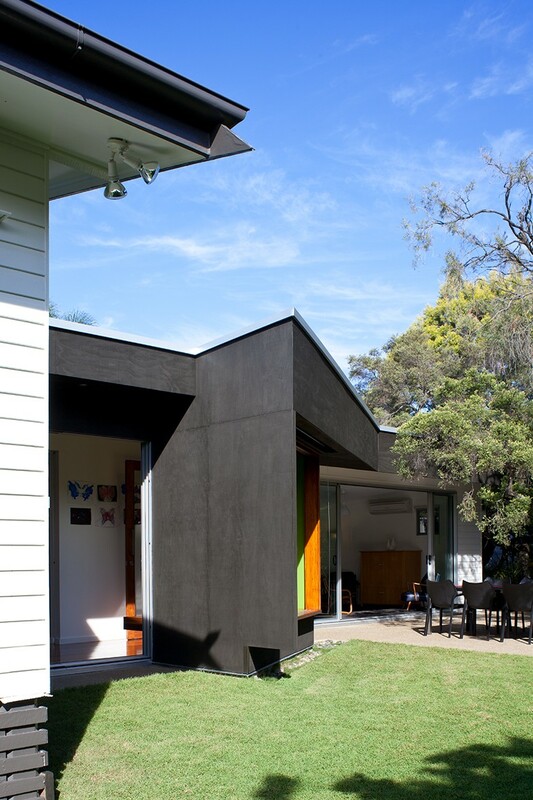 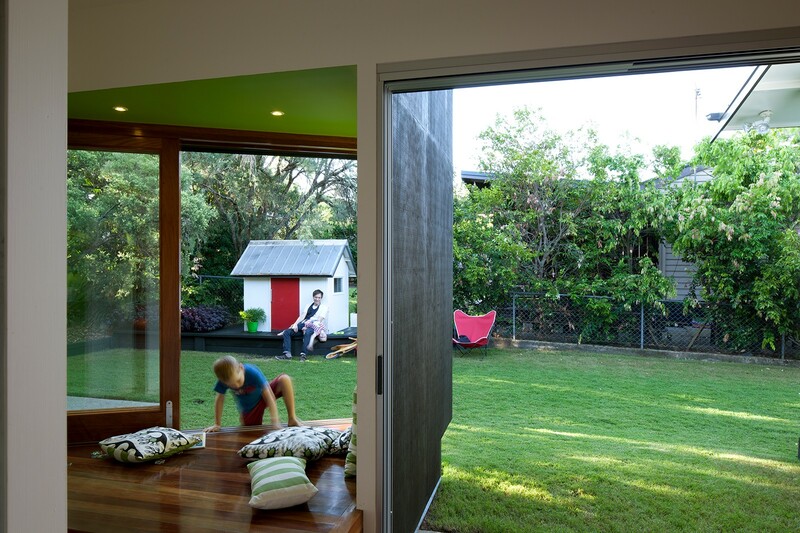 The extension compliments the existing house but also provides a retreat that engages with the rear yard.